I could smell trouble was brewing. Routines were broken. Things were different but because all this happens before my first coffee, I was slow on the uptake. This doesn’t involve my super macho gym. It involves my walking group. I use the term “walking group” loosely. I go to a mall before it opens and walk. I walk with a woman I know from my previous gym. In the course of the last year, I have become familiar with all the walkers. Many are older than I am. Much older but very nice. I admire that they stay active. About a week ago, my walking partner, who was a part of the social group, started leaving at the same time I did. Then I heard her story. When we come in, we put our coats on benches or chairs. There is a hierarchy. The “in crowd” puts their coats on the chairs around tables where they will sit afterward. The rest of us walkers put our coats on the various benches scattered around. Someone started moving her coat out of the “in crowd” area. She got annoyed and took it as a sign that she wasn’t welcome. She thinks it’s because of her political beliefs. I don’t know if that’s the case. She’s a real talker. The kind that doesn’t let anyone else get a word in. The kind that can get annoying. She talks all the time while we walk. Sometimes I listen and sometimes I zone out. She is especially garrulous when her husband goes on hunting trips. Or trips to the cabin when he’s not hunting. I like her. She’s a kind person. Just chatty. Especially before coffee (that’s my coffee — she has had two cups before she goes walking). I suspect her chattiness is the real reason for the coat relocation. I only walk with her twice a week. Everyone else sees every weekday. That may be overload. Can you tell when people avoid you and would you know why? Would you care? I don’t think she does although she was annoyed someone was fiddling with her coat. Some friendships have an expiration date on them. They are friendships that develop because of a shared interest or need which is not strong enough to sustain it. I’ve had a lot of those and I’ve treasured them. Not everything is forever. I’m not sure about the walking group though. We’ll see what happens as time goes on. This entry was posted in Aging Gracefully, Exercise, Friends, Humor, Other People, Passages and tagged contentious conversations, friendships, getting along, group dynamics, Relationships, walking by Kate Crimmins. Bookmark the permalink. Some people are just not very skilled at environmental scanning! They don’t easily pick up on whether or not people are enjoying a particular topic of conversation or if too many opinions are creating stress. I like walking by myself and being alone with my thoughts. I rarely find my personal opinions stressful. 🙂 I would definitely have a hard time walking with a super-talker! I don’t think I could get out there before my coffee either! LOL! You’re a trooper! I’ve become immune to the verbal onslaught. Sometime I listen and sometimes I don’t. I did figure out that she’s much more talkative when her husband is on a trip. She has a quota of words to say each day and she accomplishes that no matter that! I’m sorry for your friend that she got hit with this, and sorry for you that you are involved, however peripherally. Hopefully it will work out for her! It’ll work out one way or another. I just don’t want to be involved. The right side of my brain wants to have everyone like me! The left side could care less! I try not to think about it. Just go along thinking my left brain is my dominate side…But who really knows. I think your walking partner needs to assess if these are “friends” or just fellow walkers. Sounds like recess in elementary school. They are just walking partners. There is no social activity outside of the walks. I’m not sure why the coat was moved but maybe there was a good reason I don’t know. We weren’t allowed to move coats in elementary school. The nuns would have yelled! Makes you wonder if it really is people against her and shutting her out or she just imagines it … sad if it is the former. She’s got that two-cups-and-I’m-flyin’ high from coffee and you are without so that makes a difference as well. 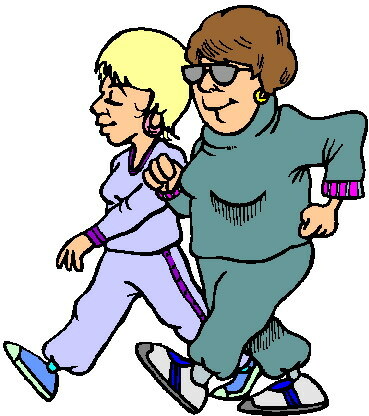 There are two women at the Park where I walk – they only walk in the Summer but they race walk. They invite me to walk with them every year – I do it when they start walking in the nice weather and they abandon the treadmill. But, they walk very fast and I don’t like to race walk and the idea of walking the loops so fast that I can’t talk or am sweating profusely just to walk, makes no sense to me. Might as well walk at a track or the mall. I don’t mind to chat with people for a minute or so, but prefer a solitary walk for the ambiance and I usually have a blog post bubbling around in my head while walking around. I enjoy having a partner to walk with. It does make the time go faster as long as both are walking at the same pace. I walk fast at the mall. It’s my exercise and I don’t want to lollygag. I’m not really sure what’s going on and I’m not interested enough to get involved. People seem really nice to me. It’s how I feel about my friend. She walks a good clip and makes the time go fast. I went through a few “expirations” of friendships I thought would stand the test of time. It was a sobering experience but I’ve learned from it. I’m more conscious of what makes relationships work and work on that. There are also couple friendships which seem harder to make (both people don’t click) and individual friendships. Hey, no one was more stunned about the 80 year old hook-ups than I was. Hats off to them but at my age (considerably less than 80) I’m not even interested. I felt sorry for this person as you were telling the story. When you get to a certain point in life, one would think people would be more accepting and see people, as you do with her, for the good. The moving of the coat seems like high schoolish in terms of sending a message. I think we all know when we’re being squeezed out. Makes you wonder how the group will move on. Considering these are all 70+ aged people, I was surprised too. There is another side here that I don’t know so maybe it would make sense if I did. Twice this past week I’ve met total strangers at a social gathering, who came up to me and began to do a VERY LONG monologue about their entire life. Without any niceties or ‘how are yous’ first, and without coming up for air they literally talked on and on and on. After each instance, I was totally exhausted. I feel your pain! I hate those kinds of dramas. You are wise to avoid the socializing. I am very paranoid of being in an uneven relationship with someone. Where I think more of the friendship than they do. And I think it makes me alert to it, but how do I know I’m really alert to it? No one knows what anyone else is REALLY thinking. So I guess I really don’t. I probably err too often on conservative side and avoid infringing into people’s groups and lives. Because there is no way to know. I follow a live and let live policy. I take my time in making new friends and try to get to know them casually first. Still, sometimes I end up with Loony Tunes! Yes, there are times when I can tell when people avoid me and I might have an idea why or I might be totally clueless. I care if people avoid me. I care if people don’t like me… to a point. How much I care depends on the person and how much I value their friendship or relationship. When it comes to friendships with women I believe in two’s company, three’s a crowd. A group of women generally brings out the snark. Don’t like feeling like I am back at the high school cafeteria at lunchtime being judged. I think it’s kind you walk with her, Kate. We just never know what struggles people are dealing with. It’s a mixed group of 50% men/women but her story sure made it sound like high school. I know the person she thinks did it (it happened a few times) and I can’t imagine that person doing it. Like I said, probably a side that I don’t know. It seems that every single thing in life is political! Walking groups are no exception…. or even coffee drinkers. I know. I’m tired of it too. I can like a person even if they don’t believe the same way but I don’t like to be attacked. Whenever a testy topic comes up, I move away from the group. I used to be bothered if people seemed to avoid me or not like me, but for the past thirty odd years, I’ve thought it’s their choice but their loss as I’m actually quite nice!!!! (lol) Seems a shame about moving her coat though, especially if she was part of the ‘In’ Crowd’ to begin with. I know I talk too much, it covers my nerves and anxiety, but it’s usually about the dog so it’s acceptable. It’s probably less about her talking but more about dominating the conversation. Still she is a nice person (and I’m saying even though she’s not a pet friendly person). Especially petty geriatric people who act like they are still in high school. And go you for walking/driving BEFORE coffee. I like to ease into my day slowly. People wear me out too. It’s why I’m cautious. The people are very nice to me and that’s all I care about. We don’t have to be besties. OK, I have to admit that my eyes popped when I heard about the affairs. Seriously some of these folks use walkers. Go them! You’re smart. When people are pleasant to me, it pays to reciprocate in kind. It’s just easier. I know someone just like that and it can really wear you out! I wonder sometimes if they even are aware of how much they are dominating the conversation. Hang in there, hopefully it makes the walk time go a little faster! It does make the time go faster. She knows that she talks a lot but she doesn’t try to reign it in. What’s most frustrating is that she doesn’t let other people talk. She often cuts in when you are talking and she’s off and running! I’m with her 2 half hour walks a week so it’s not a big deal for me. She walks an hour every day with other people. That may be long. I live in England. I need my coat on before going out for a walk. Problem solved. I do think there ought to have been easier ways of dealing with your talkative friend. A keep fit group I go to has tea or coffee afterwards. A lot of people stay for a few minutes then go to a local coffee bar or pub for a more private chat. No one seems to mind. I never joined the “after party.” Not everyone does. People have places to be or things to do. I determined early on that it was unlikely anyone there would be a good candidate for a long term friendship outside of the walking. I just admire you for doing ANYTHING pre-coffee. Me: coffee first, always. That’s a good policy. I usually exercise before coffee so I don’t have to run to the bathroom! I thought that was pretty sneaky. They were friends. Say something. Then again how do you tell someone they talk too much? There is another side to this story that I don’t know. Moving a coat is petty and small; I’m sure a less mean hint could be shared. Personally, I’d be leery of those walkers. If their relationships are that shallow, imagine if they actually found something objectionable! Sheesh. And this is why I prefer cats. They will barf a hairball in my coat to make a point. When I was younger, I cared/worried more about whether or not people liked me. Now, I am who I am, so take me or leave me…I won’t be offended. 🙂 I think we’d make great walking partners, Kate. We would! It takes a whole lot more to hurt my feelings these days. It seems very mean girl/ passive aggressive/ high school, though. It did. He shoots local game but maybe he enjoys the peace and solitude of the cabin. I was surprised that she didn’t confront the person that she thought did it. She doesn’t know for sure but suspects someone. You are a wise woman. I’m always amazed that I haven’t done anything violent pre-coffee but the only thing I do is exercise.